Ipsen Biopharmaceuticals, Inc., a subsidiary of Ipsen SA (Euronext: IPN; ADR: IPSEY) (Ipsen), today announced that the U.S. Food and Drug Administration (FDA) has approved its supplemental Biologics License Application (sBLA) for Dysport® (abobotulinumtoxinA) for injection for the treatment of lower limb spasticity in pediatric patients two years of age and older. 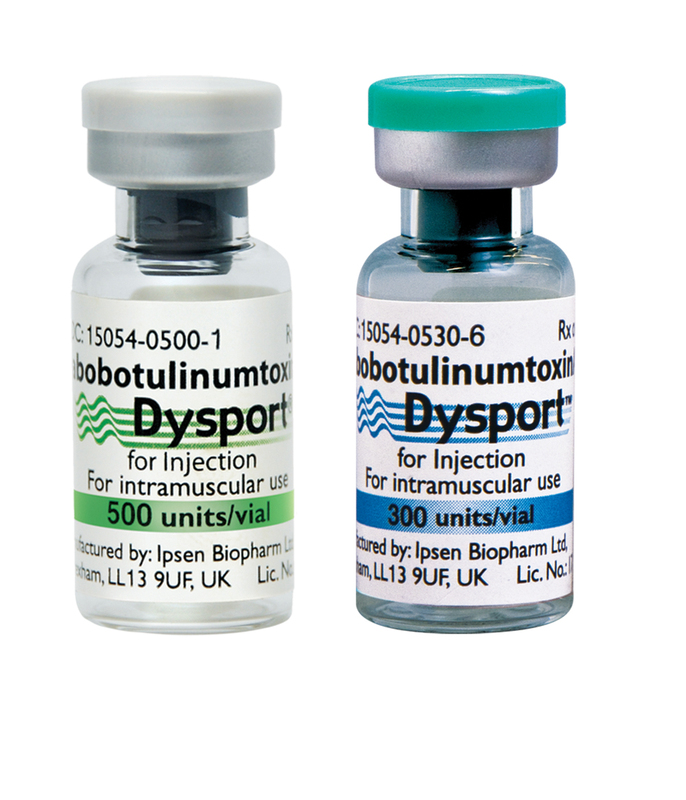 Dysport® is the first and only FDA-approved botulinum toxin for the treatment of pediatric lower limb spasticity. Those treated with Dysport® showed statistically significant improvement in co-primary efficacy assessments: mean change from baseline in Modified Ashworth scale (MAS) in ankle plantar flexor muscle tone and mean Physician’s Global Assessment (PGA) response to treatment score at Week 4 and Week 12. A majority of patients in the clinical study were eligible for retreatment between 16 and 22 weeks; however, some had a longer duration of response. This approval is based on a randomized, multicenter, double-blind, placebo-controlled, international Phase III pivotal study in 235 pediatric patients (158 received Dysport® and 77 received placebo) aged 2 to 17 years with lower limb spasticity due to cerebral palsy causing dynamic equinus foot deformity. 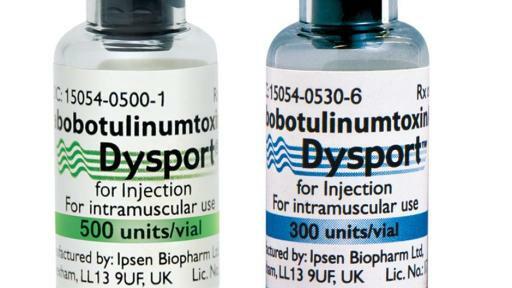 Dysport® and all botulinum toxin products have a Boxed Warning which states that the effects of the botulinum toxin may spread from the area of injection to other areas of the body, causing symptoms similar to those of botulism. Those symptoms include swallowing and breathing difficulties that can be life-threatening. Dysport® is contraindicated in patients with known hypersensitivity to any botulinum toxin preparation or to any of the components; or in the presence of infection at the proposed injection site(s); or in patients known to be allergic to cow’s milk protein. The potency Units of Dysport® are specific to the preparation and assay method utilized. They are not interchangeable with other preparations of botulinum toxin products. Please see below for additional Important Safety Information. “This approval means that, for the first time, physicians have a FDA-approved botulinum toxin with recommended dosing guidance for the treatment of children two years of age and older with lower limb spasticity based on a large registrational study,” said Ann Tilton M.D., Professor of Clinical Neurology, Chief, Section of Child Neurology, Louisiana State University School of Medicine. The Phase III registrational study sponsored by Ipsen included 235 pediatric patients (158 received Dysport® and 77 received placebo; intent to treat population) and was multicenter, double-blind, prospective, randomized, and placebo-controlled. It was conducted in the U.S., Mexico, Poland, Turkey and France. Patients were randomized (1:1:1) to Dysport® 10 Units/kg/leg, Dysport®15 Units/kg/leg or placebo injected into the gastrocnemius-soleus muscle complex located in the calf.1 The trial included patients who were botulinum toxin naïve or previously treated with a botulinum toxin more than six months before study entry. The co-primary efficacy endpoints showed a statistically significant improvement in mean change from baseline in MAS in ankle plantar flexor muscle tone at both doses of Dysport® vs. placebo at Week 4 [LS mean treatment difference vs. placebo were: -0.5 for placebo, -0.9 for Dysport® 10 Units/kg/leg, and -1.0 for Dysport® 15 Units/kg/leg (p<0.05)]. Data at Week 12 as measured by the MAS was also statistically significant [LS mean treatment difference vs. placebo were: -0.5 for placebo, -0.8 for Dysport® 10 Units/kg/leg, and -1.0 for Dysport® 15 Units/kg/leg (p<0.05)]. The most common adverse reactions (≥10% of patients in any group and greater than placebo) in pediatric patients with lower limb spasticity for Dysport® 10 Units/kg, 15 Units/kg, 20 Units/kg, or 30 Units/kg; and placebo, respectively, were: nasopharyngitis (9%, 12%,16%, 10%, 5%), upper respiratory tract infection (9%, 20%, 5%, 10%, 13%), influenza (0%, 10%, 14%, 3%, 8%) and pharyngitis (5%, 0%,11%, 3%, 8%), cough (7%, 6%, 14%, 10%, 6%), and pyrexia (7%, 12%, 8%, 7%, 5%). A statistically significant improvement was also observed on the mean PGA response to treatment score at Week 4 [LS mean treatment difference of 0.7 for placebo, 1.5 for Dysport® 10 Units/kg/leg, and 1.5 for Dysport® 15 Units/kg/leg (p<0.05)]. Data at Week 12 as measured by the mean PGA response to treatment score was also statistically significant [LS mean treatment difference vs. placebo were: 0.4 for placebo, 0.8 for Dysport® 10 Units/kg/leg, and 1.0 for Dysport® 15 Units/kg/leg (p<0.05)]. A majority of patients in the clinical study were eligible for retreatment between 16 and 22 weeks; however, some had a longer duration of response. The degree and pattern of muscle spasticity and overall clinical benefit at the time of re-injection may necessitate alterations in the dose of Dysport® and muscles to be injected. Dysport® is an injectable form of botulinum toxin type A (BoNT-A), which is isolated and purified from Clostridium bacteria producing BoNT-A. It is supplied as a lyophilized powder. Dysport® has approved indications in the United States for the treatment of adults with Cervical Dystonia (CD) and for the treatment of Upper Limb Spasticity (ULS) in adult patients, to decrease the severity of increased muscle tone in elbow flexors, wrist flexors and finger flexors. The C.L.I.M.B.® (Continuum of Learning to Improve Management with Botulinum Toxin; http://www.climb-training.com) injector training platform is a multi-tiered learning continuum designed to educate physicians with every level of experience with botulinum toxin therapy. C.L.I.M.B.® can help physicians improve their clinical skills involving the appropriate use of Dysport®. IPSEN CARES™ (Coverage, Access, Reimbursement, & Education Support) is dedicated to ensuring patients, providers and caregivers have the resources needed to help access the Ipsen medications that are critical to managing their conditions. IPSEN CARES™ is staffed Monday to Friday by experts who can assist with a broad range of medical, educational, logistical and coverage information regarding Ipsen medicines. Involving the entire treatment team that surrounds patients on a daily basis, IPSEN CARES™ can provide benefits verification (research of a patient’s medical or pharmacy benefit insurance coverage); prior authorization information; a patient assistance program (free medications for uninsured patients); co-pay assistance programs for eligible patients; billing and coding support; coordination with specialty pharmacies. Additional information is also available by visiting (http://www.ipsencares.com). The safety and effectiveness of Dysport® in the treatment of lower limb spasticity in adult patients has not been demonstrated. Dysport® is contraindicated in patients with known hypersensitivity to any botulinum toxin preparation or to any of the components; or in the presence of infection at the proposed injection site(s); or in patients known to be allergic to cow’s milk protein. Individuals with peripheral motor neuropathic diseases, amyotrophic lateral sclerosis, or neuromuscular junction disorders (e.g., myasthenia gravis or Lambert-Eaton syndrome) should be monitored particularly closely when given botulinum toxin. 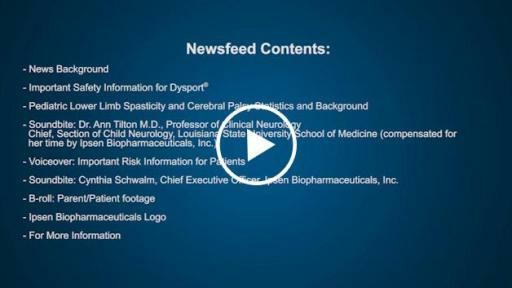 Patients with neuromuscular disorders may be at increased risk of clinically significant effects including severe dysphagia and respiratory compromise from typical doses of Dysport®. This product contains albumin, a derivative of human blood. Based on effective donor screening and product manufacturing processes, it carries an extremely remote risk for transmission of viral diseases. A theoretical risk for transmission of Creutzfeldt-Jakob disease (CJD) also is considered extremely remote. No cases of transmission of viral diseases or CJD have ever been reported for albumin. Most common adverse reactions (≥5% and greater than placebo) in adults with cervical dystonia for Dysport® 500 Units and Placebo, respectively, were: muscular weakness (16%, 4%), dysphagia (15%, 4%), dry mouth (13%, 7%), injection site discomfort (13%, 8%), fatigue (12%, 10%), headache (11%, 9%), musculoskeletal pain (7%, 3%), dysphonia (6%, 2%), injection site pain (5%, 4%), and eye disorders (7%, 2%). In general, elderly patients should be observed to evaluate their tolerability of Dysport®, due to the greater frequency of concomitant disease and other drug therapy. Please see Full Prescribing Information for Dysport® available here and, for more information, visit www.dysport.com. Ipsen SA is a global specialty-driven biotechnological group with total sales exceeding €1.4 billion in 2015. Ipsen sells more than 20 drugs in more than 115 countries, with a direct commercial presence in more than 30 countries. One of the leading affiliates is Ipsen Biopharmaceuticals, Inc., the North American arm of Ipsen, headquartered in Basking Ridge, NJ. Ipsen’s ambition is to become a leader in specialty healthcare solutions for targeted debilitating diseases. Its fields of expertise cover oncology, neurosciences and endocrinology (adult & pediatric). Ipsen’s commitment to oncology is exemplified through its growing portfolio of key therapies improving the care of patients suffering from prostate cancer, bladder cancer and neuro-endocrine tumors. Ipsen also has a significant presence in primary care. Moreover, the Group has an active policy of partnerships. 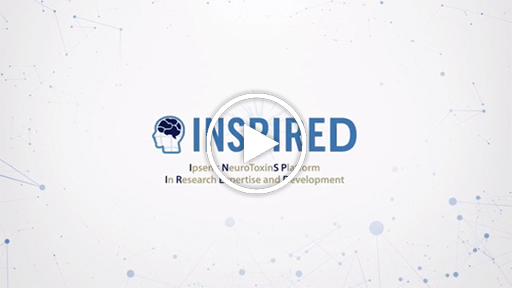 Ipsen's R&D is focused on its innovative and differentiated technological platforms, peptides and toxins, located in the heart of the leading biotechnological and life sciences hubs (Les Ulis/Paris-Saclay, France; Slough/Oxford, UK; Cambridge, US). In 2015, R&D expenditure totaled close to €193 million. The Group has more than 4,600 employees worldwide. Ipsen’s shares are traded on segment A of Euronext Paris (stock code: IPN, ISIN code: FR0010259150) and eligible to the “Service de Règlement Différé” (“SRD”). The Group is part of the SBF 120 index. Ipsen has implemented a Sponsored Level I American Depositary Receipt (ADR) program, which trade on the over-the-counter market in the United States under the symbol IPSEY. For more information on Ipsen, visit www.ipsen.com. Gray H. Anatomy of the Human Body. “The Muscles and Fasciæ of the Leg.” http://www.bartleby.com/107/129.html . Accessed June 23, 2016. National Institute of Neurological Disorders and Stroke. Spasticity Information Page. http://www.ninds.nih.gov/disorders/spasticity/spasticity.htm Accessed June 23, 2016. Delgado M, et al. AbobotulinumtoxinA for equinus foot deformity in cerebral palsy: A randomized clinical trial. Pediatrics. 2016;137(2). Dysport® and C.L.I.M.B.® are registered trademarks of Ipsen Biopharm Ltd.
IPSEN CARES™ is a trademark of Ipsen S.A.S.